Realize this: if you’re not flourishing and prospering right now, then there’s a very good chance you’re under suppression in some area of your life. And the How to Confront and Shatter Suppression PTS/SP Course is the remedy. 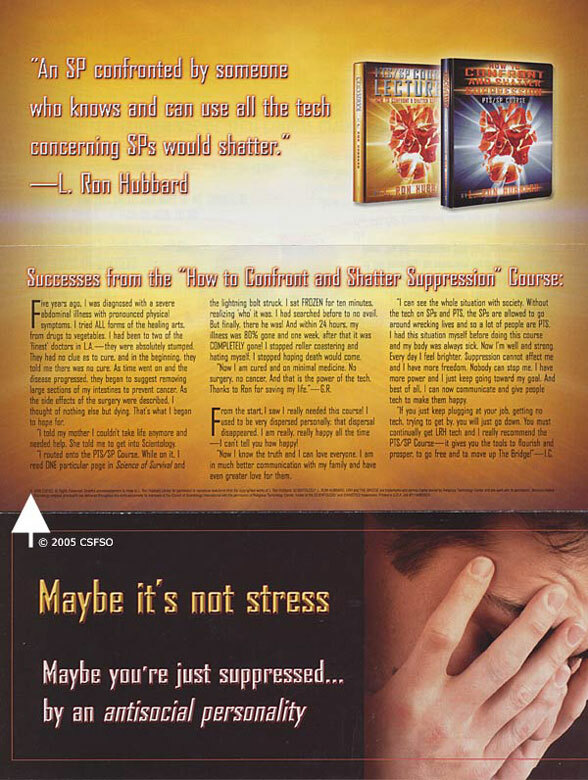 It’s the most popular course in Scientology, for good reason. Surveys of those who’ve done the course found it puts one at a whole new level of cause in life, makes one able to spot a suppressive person a mile away and gives the ability and tools to handle any suppression, fast. And that’s just for starters. “IF ONE KNOWS THE TECH OF HOW TO DO SOMETHING AND CAN DO IT, AND USES IT, HE CANNNOT BE THE THE ADVERSE EFFECT OF IT…. With the PTS/SP Course you will know all the tech and you will have the ability to use it. The revolutionary PTS/SP tech is laid out on a smooth gradient with dozens of practical and demonstrations to make every concept clear. Golden Age of Tech drills bring it all together so that you know you can apply the tech with utter certainty. 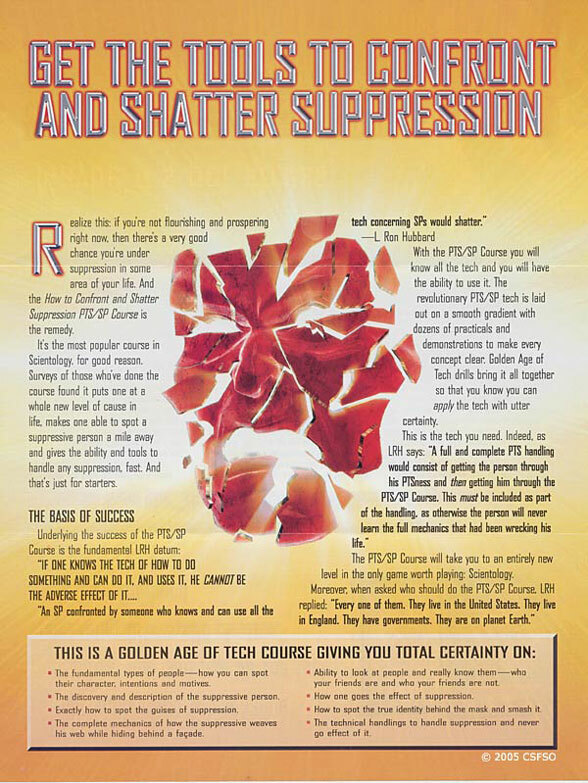 The PTS/SP Course will take you to an entirely new level in the only game worth playing: Scientology. The fundamental types of people—how you can spot their character, intentions and motives. The discovery and description of the suppressive person. Exactly how to spot the guises of suppression. The complete mechanics of how the suppressive weaves his web while hiding behind a facade. Ability to look at people and really know them—who your friends are and who your friends are not. How one goes the effect of suppression. 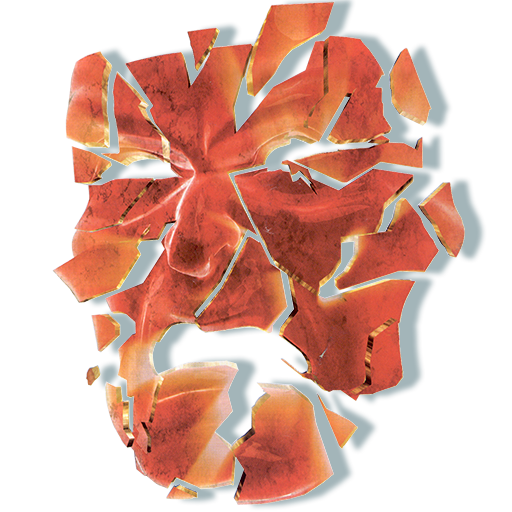 How to spot the true identity behind the mask and smash it. 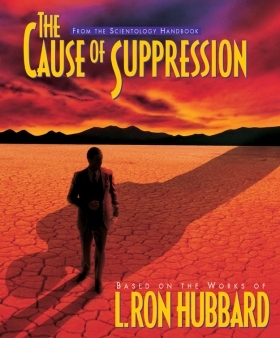 Get the Tools to Confront and Shatter Suppression (2005). [Advertisement]. Church of Scientology Flag Service Organization.